Is Three Mile Island responsible for surge in thyroid cancer? 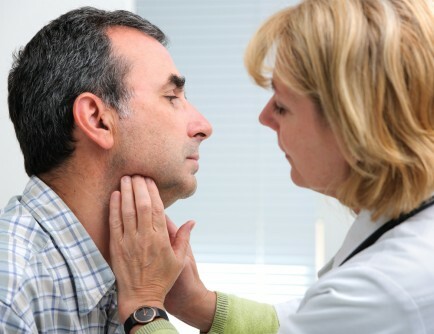 In most cases, the cause of thyroid cancer is unknown, according to Dr. David Goldenberg, chief of otolaryngology-head and neck surgery at Penn State Health. But, for years, the vast majority of his thyroid cancer patients have told him they blame the 1979 partial meltdown of a reactor at Three Mile Island near Middletown, Pa., for their disease. Often, the disease is discovered by accident — a medical provider discovers a nodule in a patient’s neck during a routine examination, or a radiologist spots it during imaging for something else. Symptoms typically don’t occur until the cancer is more advanced. Multiple studies on the demographics of those who develop thyroid cancer show that although Pennsylvania has the highest rate in the country — “for reasons not clear to us,” Goldenberg said — the highest concentration is not in the central part of the state, but near Pittsburgh. “Everything needs to be called into question,” he said. Is Three Mile Island responsible for surge in thyroid cancer?. Appl Rad Oncol.